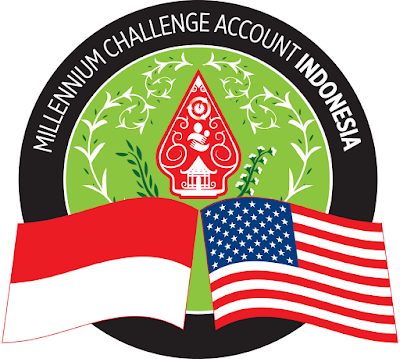 Millennium Challenge Account - Indonesia (MCA-Indonesia) is a trustee institution that represents the Government of Indonesia to implement a five-year (2013-2018) Millennium Challenge Corporation's Compact Program, a major pillar of the United States-Indonesia Comprehensive Partnership and the largest single pledge made by the United States to Indonesia to date. MCA-Indonesia has three projects under Compact Program: Green Prosperity, Community-based Health and Nutrition to Reduce Stunting and Procurement Modernization. Our projects are designed, managed and implemented by Indonesians, for the Indonesian people. Our most important development work happens where it should be: the districts and the villages. Our goal is to reduce poverty through economic growth. Our program is country-driven, reform-centered, and results-focused in order to maximize its effectiveness and long-term sustainability. The Social & Gender Assessment (GSI) Project Specialist will provide support for GSI team on substantive inputs to the gender and social inclusion integration activity in MCA-Indonesia projects, particularly the Community-based Health and Nutrition to Reduce Stunting (Nutrition) and Procurement Modernization (PM) projects. The GSI Project Specialist will also support the planning, implementation and Monitoring of SGIP in the respective projects and other GSI activities, and events. GSI Specialist will report to the GSI Director. She or he will work closely with the CBHN and PM project team, its contractors and subcontractors, government counterparts and key-stakeholders. Provide support to implement and monitor MCA Indonesia Social and Gender Integration Plan (SGIP), particularly GSI activities under Community-based Health and Nutrition to Reduce Stunting (CBHN) and Procurement Modernization (PM) project, including preparing for quarterly and annual work plan, providing inputs for GSI regular report and Quarterly Disbursement Request (QDR). Provide review and analysis of GSI Consultants deliverables and reports to ensure quality and timely deliverables. Plan and conduct GSI targeted activities for CBHN and PM Projects in the MCA-Indonesia SGIP. Distill information from reports, field visits and consultant deliverables to develop GSI implementation closure report.